This week’s theme over at The Saturday Photo Hunt is “Loud”. This bunch (bush? peck?) of bagpipers was quite loud! I love me a man in a kilt! I love listening to bagpipes. That group does look like they could be quite loud. I love bagpipes. My husband has a chanter but has never learned to play it… probably because when he blew into it, it caused our baby to burst into tears. Repeatedly. 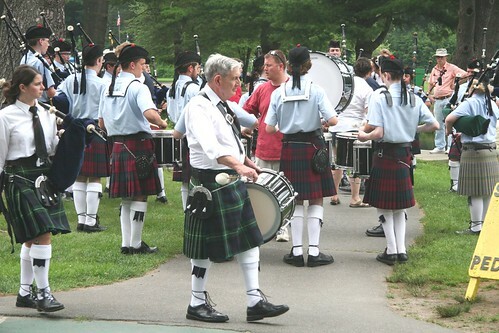 i like bagpipes….but in small doses….and one is loud, more than that is REALLY loud. good choice.